Forgive me fellow skin care junkies, for I have sinned. A couple weeks ago I went to the beach and I completely forgot to put sunscreen on the tops of my feet and I got a terrible sunburn. I know, it’s horrible, and I’ll never ever do it again. But, my pain is your gain, because I was so desperate to relieve my itchy, red-as-a-lobster skin that I went way past putting aloe on it to calm it down. I tried putting a rubber face mask on my sunburned feet and it worked like a charm. First off, what are rubber masks? 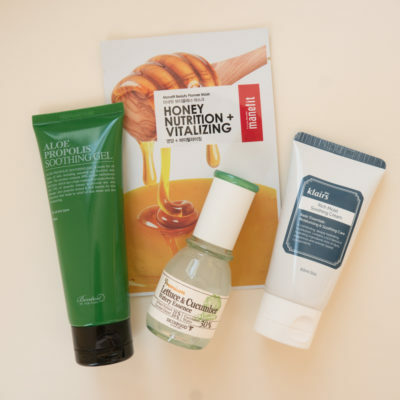 Rubber masks have been a staple in Korean facials for years and are just now seeing mainstream popularity with major Korean beauty brands releasing DIY make-it-at-home products. While the name of the mask has the word “rubber” in it, rest assured that there is absolutely no rubber or anything related to rubber in the ingredients of these masks. What makes rubber masks so fun is that instead of just slapping on a sheet mask, you get to make your own mask. 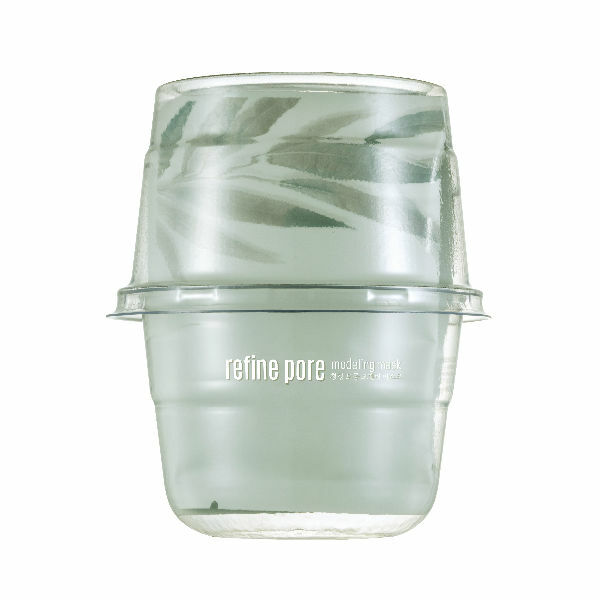 The Goodal Refine Pore Modeling Mask comes as container with a spatula and two packets: one filled with powder and one filled with essence. You mix the essence and the powder together to create a goopy paste that has the consistency of…you guessed it…rubber, and then you spread it all over your face. Rubber masks contain an ingredient called alginate, which congeals when combined with water, which allows it to dry into a soft gelatinous mask that you easily peel off. Why rubber mask in the summer? When you’ve been out all day in the heat and your skin is getting extra UVA ray action (even though you’re wearing sunscreen all the time), you need masks that go beyond the sheet version. See, sheet masks are great, but rubber masks form an evaporation-proof seal of goodness on the skin. Since the mask goes on wet and then dries onto your skin, the composition of it means your skin absorbs all of the active ingredients, and none are lost in the mask. And unlike sheet masks, rubber masks offer a one way flow, so the mask won’t begin to re-absorb nutrients once it has dried. Peeling it off removes impurities from the skin on a surface, much like a skin peel. These attributes make it an ideal choice for healing distressed summer skin. The Goodal Refine Pore mask is perfect for anyone with oily skin who comes home from a day outside and feels like their face is super congested. The essence contains tea tree and centella extract to reduce sebum production and bring pores back to normal oil levels. And if you have sunburned skin (or just inflamed skin from sitting in a delayed hot subway train for an hour), the soothing powers of skullcap and willow bark extract in the Goodal rubber mask will calm your skin right down. As you can see in the GIF above, my sunburn was bad, but I immediately felt relieved after smoothing on the Goodal rubber mask. The cooling effect of the mask went right to work and my sunburn felt like it was being encased in a blanket that had just been taken out of the freezer. I applied the mask all the way up my leg and there was enough in one container to cover both my legs. Letting this mask dry on my itchy, burned skin was one of the most enjoyable moments ever. I left the mask on until it dried (about 15 minutes) and then peeled it off. My sunburn was way less inflamed, didn’t feel hot, and wasn’t itchy for the rest of the day. For the next few days, I put on the rubber mask every morning and my skin was calm and cool as a cucumber (sorry) for the rest of the day. If the summertime makes your skin extra sensitive, produce more oil, or if you get a sunburn (hey, it happens), swap out your sheet mask for a rubber mask (and don’t think you can’t put the rubber mask on other parts of your body!). The soothing ingredients in the Goodal Refine Pore Modeling Mask will calm down any inflamed or stressed out skin, while the pore-clearing ingredients help deep clean oily skin and the removal method of peeling off the mask extracts leftover impurities. Bonus: It feels so nice and cold when you put it on your skin (sure beats standing in front of your AC unit). + What’s your favorite Korean rubber mask? Let us know in the comments!